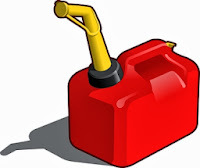 Gas mileage is the ratio of the distance a vehicle travels to the amount of fuel used. Gas mileage has been an important factor when it comes to evaluating a vehicle specially with fuel prices going up. These are three simple ways to improve gas mileage. There is a rising awareness for fuel economy because of increasing gas prices. Alternative energy and the green movement have contributed to the rise of hybrid cars and electric cars. Although these vehicles have still ways to go to reach its potential, vehicles like the Tesla and the Prius are now in the public eye and reaching mainstream status. In an early 2012 study, MIT came out with a study that shows that even with advances in vehicle and fuel technology, it has barely increased the mileage per gallon of current vehicles. This is because current vehicles are bigger and more powerful than vehicles thirty years ago. The average gas mileage in 1980 was 23 miles per gallon (mpg) compared to the current 27 mpg. Despite this, there are ways to improve gas mileage and increase savings on fuel costs. If you've recently had a heart attack when reviewing gas prices at your local gas station, you're not alone. Just last year, the Daily Caller reported that Americans spent more money on gas than ever before, with an average of $2,912 spent on gasoline per household. If you're not interested in spending astronomical amounts for your gasoline, you may want to know more about gas mileage and ways you can improve it. When getting into your car at the beginning of the day, you may want to think about a few of the small things that make a big difference in your gas mileage. The amount of total weight within your car will increase your gas mileage, so if you're toting around knick-knacks from three years ago within your trunk, you may be losing hundreds of dollars a year. According to the government Fuel Economy website, every 100 pounds of items within your car will reduce your MPG by up to 2 percent. This may not seem like a lot, but it adds up. Ensuring your car tires are properly inflated will also increase the overall efficiency of your vehicle and ensure that you aren't wasting gas. The Fuel Economy website also found that aggressive driving, which includes speeding, braking and accelerating too quickly, can lower gas mileage by a whopping 33 percent. Engine tuning has become a very popular method of increasing the MPG of a vehicle. The Honda Tuning Magazine outlines this fairly simple task, but it can also be requested at a reputable garage for those that don't enjoy a hands on approach. Tuning is an extremely viable and well-researched method of achieving higher gas mileage. Fuel economy tuning can increase gas mileage by about 4 percent, and is also very helpful for those that want to lower their emissions. Vehicles can also become out of tune, which is something that can be handled directly at your dealership or through a licensed mechanic. The tuning of an engine is something that is commonly done through engine maintenance but can also be requested specifically for the purposes of fuel economy. While there are many cash-saving tricks, most tricks can only improve your EPA-rated gas mileage by less than 10 percent. This makes it extremely important to find the right vehicle. Many people have outdated beliefs on the most gas efficient cars. Auto Trader reports that Hyundai vehicles are now the most fuel efficient vehicles, even though most may think of either Honda or Toyota. These Hyundais can be found at most dealerships including Scottsdale Hyundai's inventory. EPA ratings provide an excellent standard of measurement when comparing different vehicles. Purchasing the right vehicle is the best way to save money on gas, and there are times when trading in an older vehicle may actually save you money even if you need to spend more money initially. Vehicles that are over 10 or 15 years old will not have the advanced fuel management capabilities as newer models. You can find EPA ratings for older vehicles online or simply track the amount you are spending to determine whether a new car might be the right investment for you. Kathy is a freelance writer who covers green vehicle technology and eco-friendly living for a number of blogs.